Pure Digital recently introduced The New Flip 8GB 720p Camcorder with amazing quality in market.The camcorder is available in white color with a stylish cool nice look and can be taken anywhere as you wish.The camcorder measures 6.2 x 3.1 x 3.1 inches, 10.4 ounces. 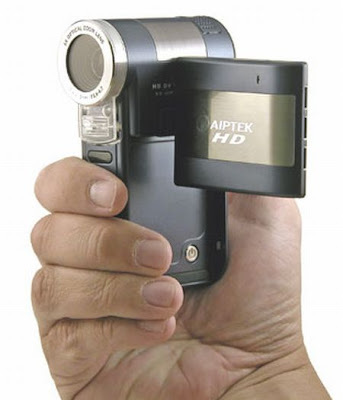 The camcoder has a huge 2-inch anti-glare color LCD screen display and HD 720p (1280 x 720) at 30 frames per second (fps) progressive scan.The files are recorded as MP4 files.The cancoder is capable of capturing 120 minutes of 720p HD-quality video on 8GB of built-in memory with 2x digital zoom.The new Flip camcoder comes with features like mini-HDMI output, 6-oz,8 GB built-in memory,edit individual clips, even upload video to sharing sites likeYouTube and MySpace, make custom movies, Built-in FlipShare software lets you easily email videos, capture still photos from video. 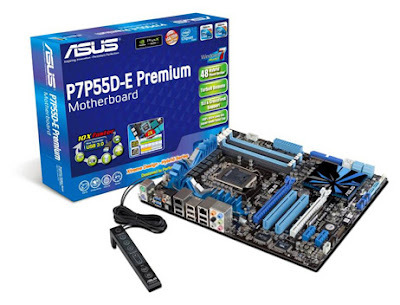 ASUS recently introduced SATA 6Gbps motherboards that supports USB 3.0.The motherboard has a data throughput of 6Gbps.The P7P55D-E series motherboard support the latest Core i5 and Core i7 processors.There is only two USB 3.0 available on board and a total of ten dedicated USB 2.0 sockets are scattered about.The P7P55D-E Premium motherboard comes with a pricetag of $299 and U3S6 expansion card expected to cost $29.Additionally, the new Asus motherboards feature exclusive Hybrid Technology—Hybrid Processor, Hybrid Phase, and Hybrid OS—to give users intelligent performance enhancement, active cooling, and rapid online access. 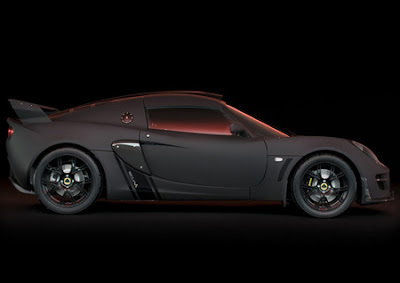 Lotus Launched an exclusive version of its famous model Exige,New Lotus Exige Scura for luxurious car lovers.The name Scura means Dark in Italian.The limited edition version has a contrasting high gloss 'Phantom Black' triple stripe running its length.Additional external design features includes carbon fiber front splitter, oil cooler inlet vanes, side airscoops and rear spoiler.The company has decided only to produce just 35 units worldwide. 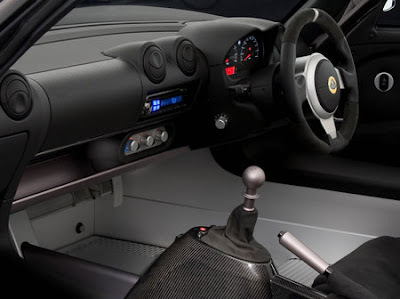 The interior of Lotus Exige Scura is also made of carbon fibers.The car has a feature called launch control which helps the driver to dtermine the number of revs that they wishes during a standing start.The launch control allows wheel-spin until 10 km/h (6 mph) to further reduce drive train stress, after which the traction control assumes its duties at the defined level set by the driver.The driver can also dialed the amount of traction control required and can be changed on the move if required. 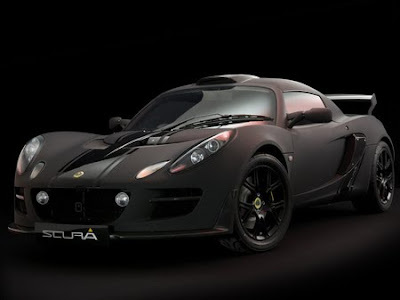 New Lotus Exige Scura is is powered by a 1.8 liter, 4-cylinder, supercharged, VVT-I engine produces a max power out of 260bhp.Scura takes just 4 seconds to accelerates from 0-60 mpgh.The top speed of the menacing car is 152mph.The car has a 6-speed manual RWD transmission with weighs 925kgs. Tags:-Lotus Exige Scura, Lotus Exige Scura features,Lotus Exige Scura stills, Lotus Exige Scura wallpapers, Lotus Exige Scura photogallery, Lotus Exige Scura topspeed, Lotus Exige Scura engine specs, Lotus Exige Scura transmissions,Lotus Exige Scura images,Lotus Exige Scura pics, Lotus Exige Scura quality pics,Limited edition Lotus Exige Scura, Limited edition Lotus Exige Scura stills, Limited edition Lotus Exige Scura details, Limited edition Lotus Exige Scura photogallery, Limited edition Lotus Exige Scura wallpapers,Lotus Exige, Limited edition from Lotus. Samsung Introduced the all new N140 laptops with Windows 7 OS in market.The slim laptop has a 10.1" LED Backlit display capable of displaying high resolution images.It als has a good sound quality and SRS effects which produce High Definition 3D sound.The N140 laptop has a weight of just 1.27 kg easy to carry anywhere as you wish. 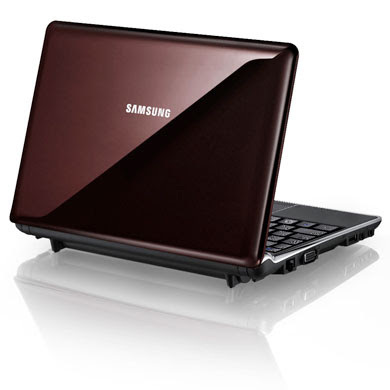 The Samsung N140 is housed with 1.6GHz Intel Atom N270 processor,1GB DDR2 RAM,250GB HDD for storage. The laptop has a battery backup of up to 11 hours with a 6 cell battery.The other features of N140 includes three USB 2.0 ports (one chargable), Bluetooth 2.1+EDR, 3-in-1 memory card reader, and comes with a spill proof keyboard. 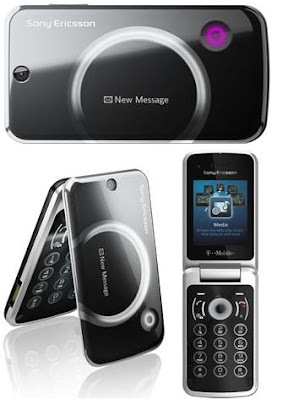 Sony Ericsson and T-Mobile recently introduced the new Flip handset in market.The Equinox comes with a stylish look and a variety of features.The phone features external light effects and a customizable pulse light.The new Equinox Flip provides easy web access with T-Mobile web2go enables the user to stay connected to friends via email, text, picture, video and Instant Messaging.The phone is also housed with a 3.2 MP camera with video capture, music and video player, stereo Bluetooth and an FM radio. 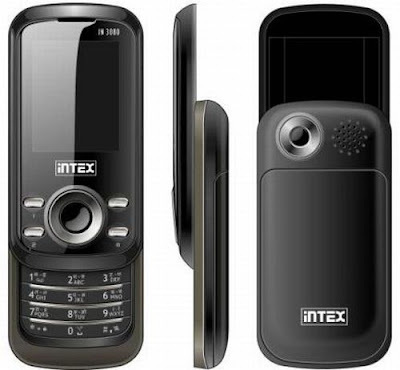 Intex recently introduced Four dual SIM mobile handsets with lot of features that is best for ones personal and professional use.The handsets comes in attractive design and colors with very slim to hold.Among them the IN4410 and IN4495 can hold two GSM SIM concurrently and the IN80 and IN20 could support one CDMA SIM and one GSM. The 4495 model comes with features like a 6.1 cm QVCA touch screen, Peer Control feature which wants a easy code with which a user can switch off the phone and carry out other functions even as at a far-away location from the phone.Other features of the phone includes FM radio, Bluetooth, auto voice, Motion Sensor, USB PC connectivity,audio and video player,expandable memory of up to 8 GB,auto voice reply, Motion Sensor and camera.The phone comes in attractive colors of green, white, plum and black and is priced with Rs 4,200. The 4410 model has features like 2.0 inch TFT display, wireless FM radio,VGA camera,inbuilt memory of 63MB and has a price tag of Rs. 3,400. 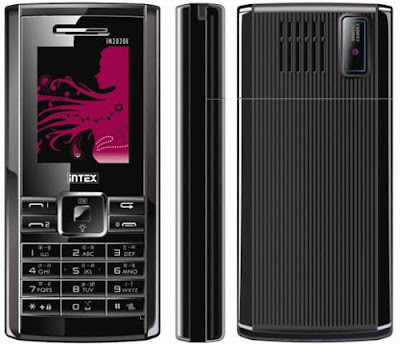 The INTEX IN 80 model is featured with FM radio, up to 153.6 Kbps data download rate, talk time of 7 hours and standby of 260 hours and comes with a price tag at Rs 5,000. INTEX IN20 has one-way call record mobile tracker features, sound recorder, a three-hours talk time and with a price of Rs. 1,600. Tags:-Intex Dual SIM Mobile, Intex Dual SIM Mobile features, Intex Dual SIM Mobile price, Intex Dual SIM Mobile price in india, Intex Dual SIM Mobile specs, Intex Dual SIM Mobile specifications, Intex Dual SIM Mobile details, Intex Dual SIM Mobile review, Intex Dual SIM,INTEX IN 80 dual sim,INTEX IN 20 dual sim,INTEX 4495 dual sim, INTEX 4410 dual sim. 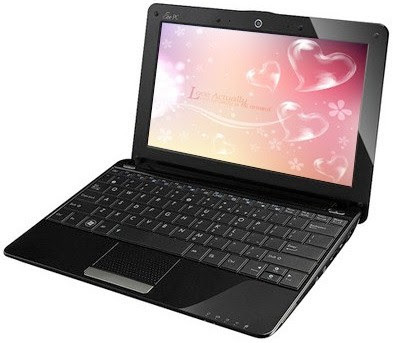 Acer recently introduced The all new AS1410 11.4-inch Celeron Netbook in market with a lot of features. The notebook with its slim attractive nature comes with excellent functions which is very much suitable for personal and professional use.Acer AS1410 has an excellent battery life. 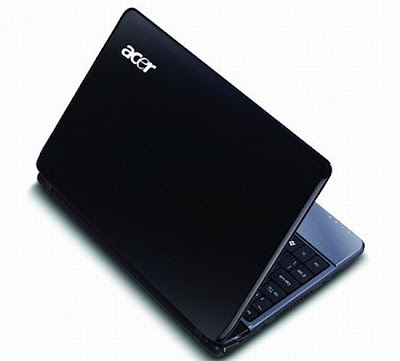 Acer AS1410 11.4-inch Celeron is housed with Intel Celeron SU2300 processor runs at 1.2GHz with a cache memory of 1MB L2 cache.The runs soo smoothly and is easy to type data fast and accurately.The netbook comes in excellent colors and has a great battery life provide the user to work in anywhere as he wishes.Acer AS1410 11.4-inch Celeron comes with a price starting at $400. Acer recently announced their first Google Android smartphone, the Acer Liquid.The New Liquid Android Smartphone from Acer,with a variety of features is best for both professional and personal use.The phone which is available in black color looks so attractive and stylish. Google Android smartphone with WVGA touchscreen, ge-tagging works on Google’s Android (1.6) OS.Another feature is the presence of 5 megapixel camera with auto focus and self timer capability. 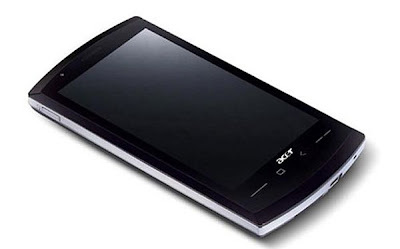 The phone is also housed with HSP connectivity,Exclusive Spinlets application providing free streaming of worldwide music and video, smart integration of Facebook, Twitter, Youtube, Picasa and Flickr.The price details of Acer Liquid Android Smartphone has not revealed yet. Canon Recently introduced a new 12 Megapixel Digital camera,The Latest PowerShot SD780 IS in market.The PowerShot SD780 IS features includes SD card slot, a 3x optical zoom, HD movie recording at 1280×720 (720p), optical image stabilizer, a 3x optical zoom and face detection. 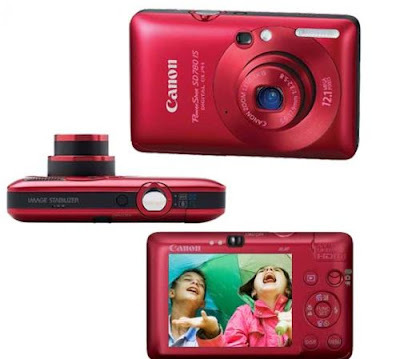 Canon PowerShot SD780 IS has a stylish ELPH Body, USB Interface Cable IFC-400PCU, Wrist Strap WS-DC7 and AV Cable AVC-DC400.The powershot available in a pretty good four color such as Red,Black,Gold,Silver. 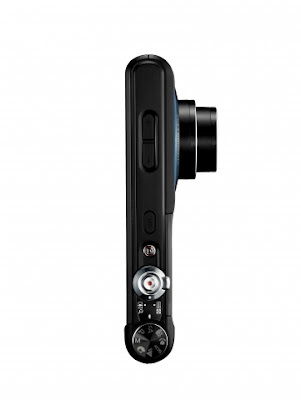 PowerShot SD780 IS comes with a price tag of $194. Nokia on its way to present its most stylish Xseries touchscreen phone,The Nokia X6 its customers.Recent news reveals that Nokia X6 will be available by next month.To tell you about the appearance,its a good looking phone which measures 111.0 x 51.0 x 13.8 mm and weighs about 122 g.The touch screen of Nokia X6 is of 3.2 inches with a resolution of 640 x 360 pixel. The home screen of Nokia X6 provides you to fit a total of 20 shortcuts of your taste which helps to access the web with a single touch of your finger. 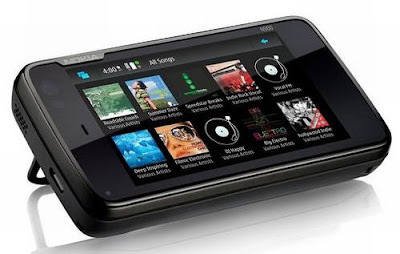 The new Nokia X6 is basically a music-centric Xseries phone capable of storing thousands of your favorite songs.The touch phone comes with a music device capable of playing MP 3, AAC, eAAC+, AAC+, WMA and SPMidi.The phone provides supported to Nokia Music Store and also helps in online sharing.The phone also provides 35 hours of music playback. To tell about the camera of Nokia X6 the phone comes with a 5.0 megapixel camera with Carl Zeiss lens system and dual LED flash.The camera has a 4x digital zoom and has provisions for video recording of upto 30 fps. 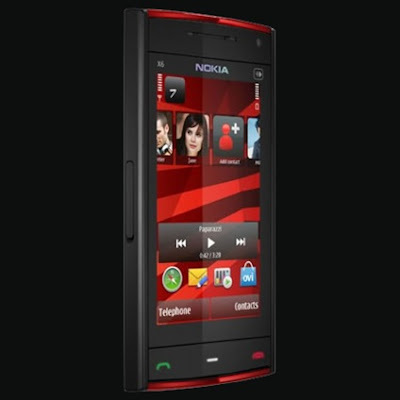 Nokia X6 has an internal memory 32 GB and supports features such as EDGE, Bluetooth 2.0. GPRS, WAP, email with attachments and has Spore by EA, D Mix Tour and Asphalt4 by Gameloft.The maximum GSM talktime is quoted to be 8 hours and 30 mins and that of WCDMA being 6 hours. Nokia X6 Best Price in India is Rs 15,000. 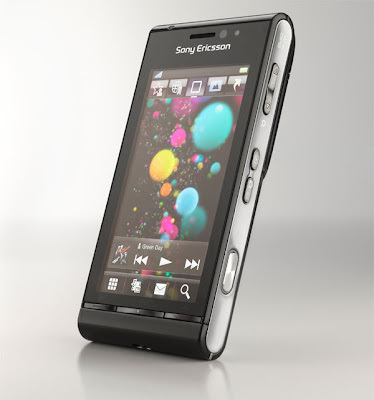 Sony Ericsson recently announced the introduction of their new satio mobile 3g media phone offering a lot of excellent features to its customers. Sony satio 3g mobile comes with a 3.5-inch touchscreen interface with auto-rotating 640×360 display.The Sony touch phone is housed with Symbian OS which provides the user to install a lot of available applications. The Satio comes with a 12x digital zoom 12.1-megapixel digital camera with smile and face recognition capability, touch-screen focus capability, and a bright Xenon flash. Features : Touch focus, geo-tagging, face and smile detection, 3G,WiFi,Bluetooth,USB port,MP3 player,FM radio,12 Megapixel Camera,Google maps. 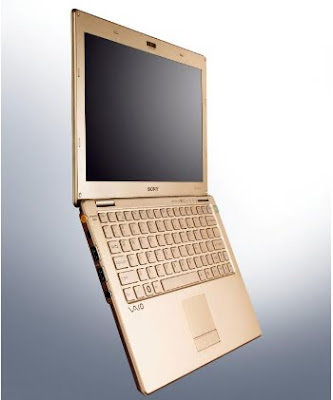 Acer recently introduced,Acer Aspire 5738PB its first multi-touch laptop that supports Windows 7. Aspire 5738PB will hit U.S market the same day Microsoft releases its next-generation Windows 7 OS.The Acer Aspire 5738PB multi-touch comes with a 15.6-inch screen on which one could use his two fingers for writing notes,zooming images etc. 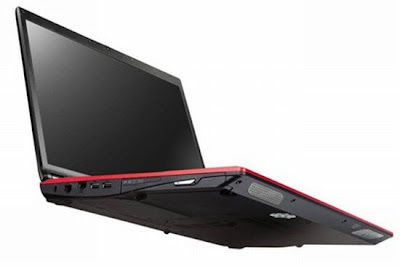 Other features includes Intel's Core 2 Duo T6600 processor at 2.2GHz,ATI Radeon HD4570 graphics, 4GB RAM and 320GB hard drive,the laptop weighs about 6.16 pounds (2.79 kilograms).Acer Aspire 5738PB multi-touch will be launched in US market by next week with a price tag of $799. 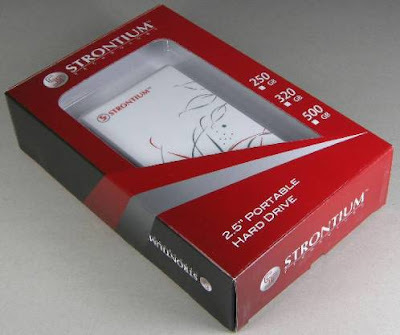 Singapore-based PC memory maker, Strontium Technology recently introduced Strontium Power Store Slim external hard disk drive in Indian market.This portable slim external hard-disk comes in a variety of storage capacities capable of storing and back up any kind of documents, files, videos, photos, songs and a lot more.The Power Store External HDD looks soo slim and low weight provides the user to carry it anywhere he wants. Features includes Ultra compact, easy-to-use and secure, this USB 2.0 powered portable hard drive makes transporting and sharing data.The harddisk has a data transfer rate of 480 Mbps, easy to store and retrive entire data of a pc or note book within minutes.Power Store HDD has a stylish design and is made from lightweight stainless steel and plastic.All Strontium external hard drives also compatible with upcomming Windows 7 OS. Tags:-Power Store Slim External HDD, Power Store Slim External HDD fetures, Power Store Slim External HDD price in india, Power Store Slim External HDD specs, Power Store Slim External HDD weight, Power Store Slim External HDD price, Power Store Slim External HDD accessories,Strontium External HDD features, Strontium External HDD price, Strontium External HDD price in india, Strontium External HDD available capacities and price. Samsung Electronics recently launched a environmental friendly touchscreen mobile ,Blue Earth in the market.Blue Earth based on eco-friendly concept comes with a lot of advanced multimedia features with sleek stylish design.The device, including the charger, is free from harmful substances such as Brominated Flame Retardants (BFR), Polyvinyl Chloride (PVC) and Phthalate. Features such as "Eco mode", screen brightness, backlight duration and Bluetooth can be set to an energy-efficient mode with just one click. The "Eco Walk" function allows users to count their steps with a built in pedometer and calculate the reduction in CO2 emission realized by walking as opposed to using a motor vehicle. Blue Earth just need 0.03W of power in standby mode.At the back of the eco-friendly phone their is solar panel which helps the user to charge using solar power.Blue Earth comes with an internal memory of 130 MB and can support up to 16 GB of external energy.The touch screen handset has a dimension of 108 x 53.6 x 14.2 mm and weighs 119g. The Samsung Blue Earth will be available soon in France, Germany, Austria, Italy, Portugal, and other European and Asian countries. 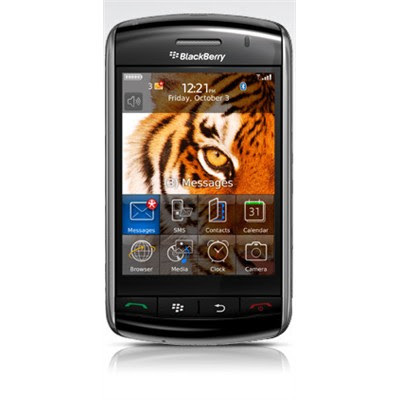 BlackBerry recently announced the introduction of the second-generation BlackBerry Storm in market. Recent news from the company reveals that BlackBerry Storm 2 will hit the market on Oct. 25.BlackBerry lovers in India has to wait as the launching date in India is yet to announced. Tags:-BlackBerry Storm 2 details, BlackBerry Storm 2 , BlackBerry Storm 2 features, BlackBerry Storm 2 launch date, BlackBerry Storm 2 launch in india, BlackBerry Storm 2 specs, BlackBerry Storm 2 news, BlackBerry Storm 2 specifications. Sony recently unleaves the details of its Vaio CW Series Laptops that will be available in market by the end of october.CW Series Laptops is cheaper that its upcomming Vaio X series Laptops. Sony Vaio CW series laptops featuresd with 4GB of DDR3 RAM, 2.2GHz Core 2 Duo processor, NVIDIA GeForce dedicated graphics card, 320GB hard drive and HDMI out,os-Windows 7,optional Blu-ray drive.Available colors of CW series laptops includes fiery red, poppy pink, icy white, jet black and indigo purple. Tags:-Sony Vaio CW series laptops, Sony Vaio CW series laptops features, Sony Vaio CW series laptops specs, Sony Vaio CW series laptops specifications, Sony Vaio CW series laptops price, Sony Vaio CW series laptops price details, Sony Vaio CW series laptops colors , Sony Vaio CW series laptops colors available, Sony Vaio CW series laptops avilability, Sony Vaio CW series laptops shipping date, Sony Vaio CW series laptops launch details, Sony Vaio CW series laptops details. 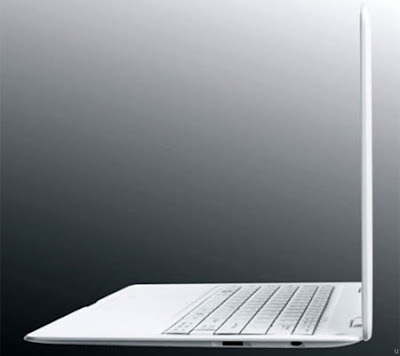 Airis Praxis recently introduced the slimmest notebook in market,The Airis Praxis Slim Air. Airis Praxis Slim Air weighs just 1.2 kg is well good enough for both professional and personal use as it can be easily moved from one place to another.You can't except a great battery backup more than 3 hours from such a slim notebook. AT&T recently introduced the latest HTC Tilt 2 and HTC Pure Windows phone with latest technology,in market.The handset has basic functions like calling, text-messaging, videos , enjoying music latest tracks, MP3 Player, FM radio.The design is soo attractive with a lot of features like Microsoft’s MyPhone backup service, better navigation tools, an improved Internet Explorer Mobile browser with supports Flash Lite,Bluetooth, 5- mega-pixel camera, Wi-Fi, GPS, 3G ,QWERTY keyboard and Straight Talk Technology for enhanced speakerphone quality. 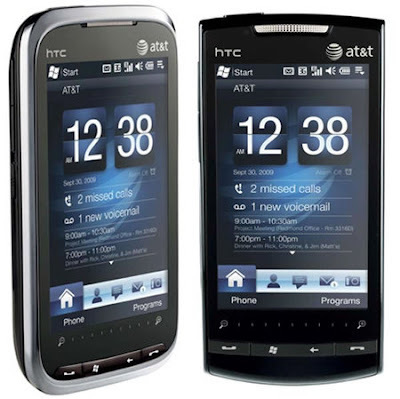 The HTC Tilt 2 And HTC Pure Windows Phone has touch friendly screen, ie 3.2-inch WVGA touch screen with gravity and light sensor.The handset comes with a price tag of $299.99 and the company offers a good two year guaranty. Giant handset maker Nokia recently introduced The Latest N900 Cell Phone with excellent features and stylish look in market.Its a best phone for professional use due to its huge storage space of about 32GB internal memory.Nokia N900 Cell Phone is available in black colour with a stylish look which is capable of atracting many a minds. As far as features is concerned the Nokia N900 Cell Phone includes 800×480 color display,3.5 inch touch-sensitive widescreen display, Integrated GPS, Assisted-GPS, and Cell-based receivers, Pre-loaded Ovi Maps application, Automatic geotagging,QWERTY keyboard, microSD card slot,Bluetooth connectivity,5-megapixel camera,3 × digital zoom, Autofocus with assist light and two-stage capture key,Dual LED flash, MP3 player, 802.11g wireless, up to 9.5 hours of talk time, 32GB internal memory (4x the amount of its predecessor),Up to 16 GB of additional storage with an external microSD card, 3G support,3.5G and WLAN connectivity, 800 × 480 resolution video recording, Linux based operating system 3D graphics accelerator with OpenGL ES 2.0 support. 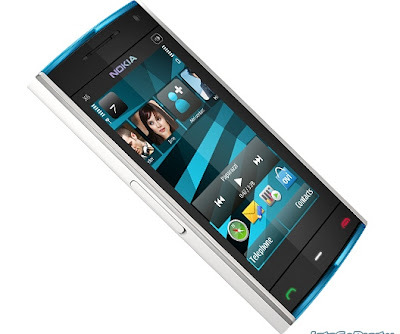 Nokia N900 Cell Phone price tag: $559.99 . MSI recently introduced The New GT740 17-inch Core i7 Notebook which is highly perfect for both professional and personal use.The New GT740 17-inch Core i7 Notebook is available in attractive colors like red and black. 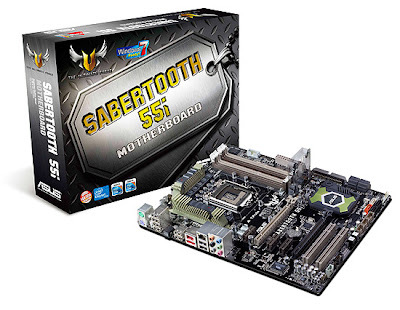 GT740 obtains an ultra-thin aluminum alloy frame with brushed metal accents. Tags:-MSI laptops, GT740 17-inch Core i7 Notebook, GT740 17-inch Core i7 Notebook details, GT740 17-inch Core i7 Notebook features, GT740 17-inch Core i7 Notebook specs, GT740 17-inch Core i7 Notebook review, MSI Core i7 Notebook specs, MSI Core i7 Notebook features, MSI Core i7 Notebook details, MSI Core i7 Notebook review, MSI Core i7 Notebook specifications, MSI gaming laptop. 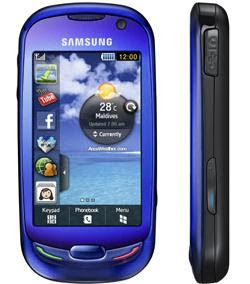 Samsung mobiles recently launched a full touch screen handset,Samsung Corby (S3650) in market.The phone is launched to attract youth as it has easy access to twitter, facebook, myspace etc. 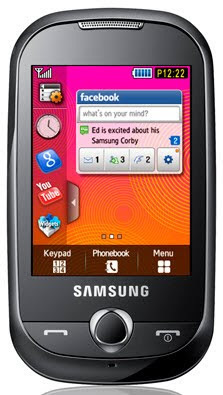 Samsung Corby also provides facility for upload images and watch youtube videos with a single touch. Sony last day officially unleaved the specifications of its new Sony Vaio X series laptops which was shown at the IFA trade show in Berlin.Vaio X series laptop is a super-slim laptop with a carbon fiber body weighs just 1.6 pounds and 0.55-inches thick. 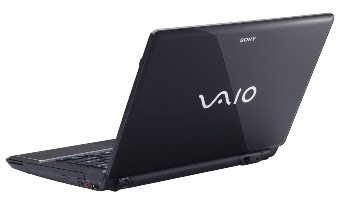 Sony Vaio X series laptops features includes 11.1-inch LED backlit screen with 1366 x 768 resolution, 2.0 GHz Intel chip, Windows 7, 2GB DDR2 RAM, 64GB solid-state drive, multi-touch trackpad, Memory Stick Duo and SD card slots, GPS (works in the U.S. and Canada only), Ethernet, Wi-Fi (802.11n) and Bluetooth connectivity, 2 X USB 2.0 ports, and MOTION EYE Webcam. The Vaio X also comes with built-in 3G capability, which requires a Verizon wireless broadband subscription. Sony Vaio X series laptops available in two attractive colours of black and gold.The X series body is made of carbon fiber with the topcase and keyboard with aluminium. The company anounced that Vaio X will start shipping in November and the pricing starts at $1300. Tags:-Sony Vaio X series laptops, Sony Vaio X series laptops features, Sony Vaio X series laptops specs, Sony Vaio X series laptops specifications, Sony Vaio X series laptops price, Sony Vaio X series laptops price details, Sony Vaio X series laptops colors , Sony Vaio X series laptops colors available, Sony Vaio X series laptops avilability, Sony Vaio X series laptops shipping date, Sony Vaio X series laptops launch details, Sony Vaio X series laptops details. Good news for those who are very concern about the nature as Samsung mobiles come up with its first Reclaim eco-friendly mobile phone in US market.The mobile is designed with recyclable and natural friently componets.Samsung eco-friendly phone is free of phthalates, polyvinyl chloride, and brominated flame retardants, three objects are usually targeted on green electronics guidelines. 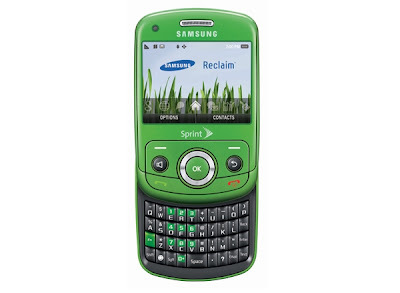 Apart from its eco-friendly nature its a stylish and powerful mobile phone.Its has QWERTY keyboard phone.The company also said that they are planning to to make Samsung leading company in eco-friendly by 2013. Reliance Mobile recently announced the introduction of BlackBerry Tour CDMA in Indian market.The BlackBerry Tour is a high-end CDMA smartphone with a lot of mobile applications and also supports facilities for email, social networking etc.BlackBerry Tour CDMA measures 112mm x 62mm x 14.2mm (L X W X D) and weighs just 130g.The phone has a 2.44" bright, 480x360 resolution display.The phone will be available from next week from Reliance Mobiles with a price tag of Rs. 27,990.As a promotion measure Reliance also offers two months of free BlackBerry Internet Service on Reliance Mobile's CDMA network for pre-booking customers. Asus is known for its extensive netbook lineup and they seem to be strengthening that even more with a netbook having a 12 inch screen which might not seem to be that netbookish. It is build around NVIDIA’s Ion technology that is expected to boost the graphics performance of the netbook comparable to mainstream laptops. 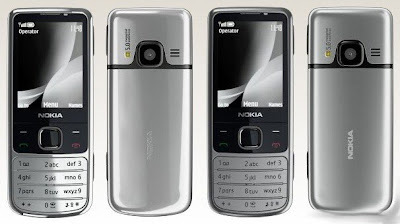 Recently Nokia introduced a simple looking new handset,The Nokia 6700 Classic in the market.The Nokia 6700 Classic includes all the basics features of a phone and also features a 5MP Camera and high quality display. 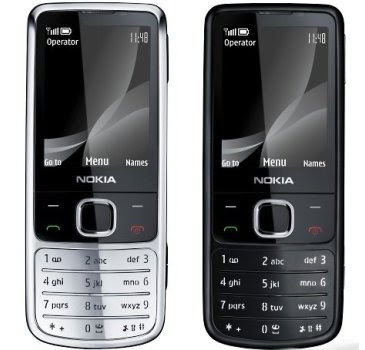 The Nokia 6700 Classic built in with a metal body with a stylish design and is 109.8mm long, 45mm wide,11.2 mm thin and weighs 116.5g.Nokia 6700 is available in different colors like pitch black, gray black and brown black and a chrome model. 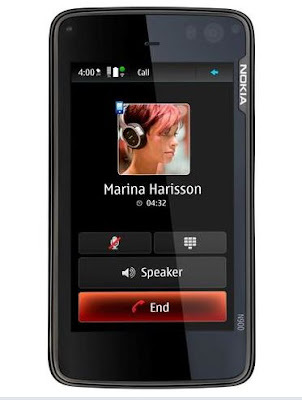 The 2.2 inches TFT Display screen has a resolution of 240 X 320 pixels.The most notable feature of The Nokia 6700 Classic is its 5MP camera helps to take picture up to 2592 X 1944 pixels.It has LED Flash and Autofocus facility for taking pictures.It can shoot videos at VGA Resolution of 640 X 480.The keypad is flat and there is a little travel of the keys to make comfortable clicking feeling. 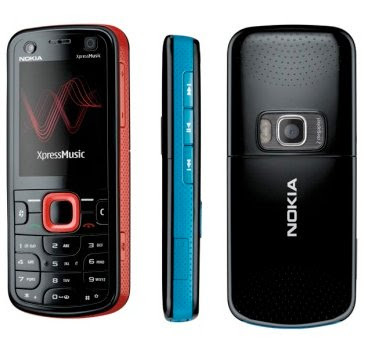 According to Nokia the 6700 Classic deliver a 5h talktime and upto 300h standby time and upto 20hours of continuous music play with the help of standard Li-Ion Battery of 960mAh capacity. California-based PC maker,Hewlett-Packard announces to introduce new laptops with TouchSmart functionality and an ultraportable design called dv3, Pavilion dv8 and a CULV-based Pavilion dm1. 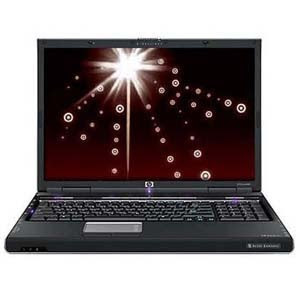 Pavilion dv2 laptop starts at a price of $699. Handset giant Nokia recently introduced another handset in the Xpress Music Lineup,The Nokia 5230 Xpress Music.Nokia 5230 Xpress Music has an excellent music playback capability and has a variety of features.Nokiaclaimed that the 5230 Xpress Music comes with a battery that delivers a 33 hours of non-stop music. 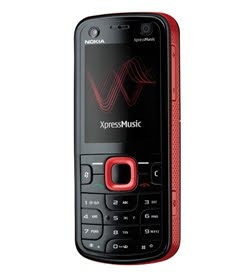 Main notable features of 5230 Xpress Music include 3G Connectivity, Enhanced Memory Capacity, Dedicated Music Player, FM Radio with RDS, Bluetooth, N-gage gaming keys for playing games, HSDPA Data connection, 2MP Camera with flash, A-GPS Navigation and Ovi Map’s most updated version with aerial images. 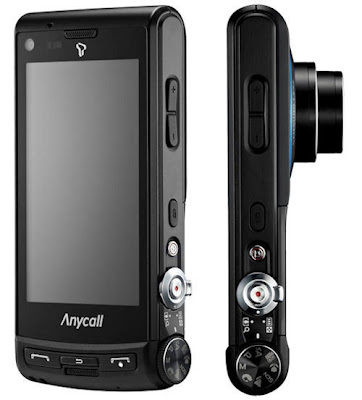 Nice Music Playback Quality, Good Connectivity Options, Additional Secondary VideoCall Camera, Sybian 60 OS, Nice good resolution screen, 3G Connectivity, Enhanced Memory Capacity, Dedicated Music Player, FM Radio with RDS, Bluetooth, N-gage gaming keys for playing games, HSDPA Data connection. Recent news from Micro-Star Int’l reveals that they are planning to launch the world’s most powerful gaming laptop,MSI GT640 Gaming Laptop With Core i7 processor.Details regarding price and availability will be revealed later. 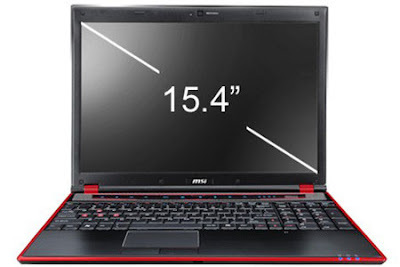 The 15.4-inch laptop with a resolution of 1680 x 1050 contains a NVIDIA GeForce GTS 250M 1GB dedicated video card.The MSI GT640 is pre-installed with Windows 7 operating system. Sony Launches The Latest A-Series Slimmest Walkman. The South Korea based mobile phone maker,Samsung Electronics recently announced its first 12-megapixel camera phone called Samsung AMOLED 12M that measures 115.8 x 56.9 x 16.3 mm and feature a 1,100 mAh battery. The new 12 megapixel AMOLED 12M Camera Phone includes the latest camera technology features and a 3.3-inch AMOLED full-touch display with WVGA 800 x 480 pixel resolution.The camera has 3x optical zoom and 2x digital zoom. The AMOLED 12M comes packed with a host of functions enabling consumers to easily capture, browse and share their images on the move, fully utilizing the brilliant 3.3-inch AMOLED screen. 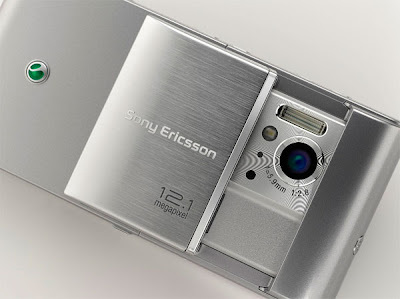 The other features of the Camera phone includes Touch Auto-Focus (AF), a Smart Auto feature, Xenon flash, shake reduction, face recognition and 1280 x 720-pixel at 30 frames per second.Touch Auto-Focus (AF) feature permits users to select a focus point with the touch of a finger, after which the lens will automatically track the object, keeping it in focus even as it moves across the screen. The Smart Auto feature lets users capture perfectly balanced images as the camera automatically changes its shooting mode based on the object, background, and lighting. For connectivity, the new device supports Bluetooth 2.0, USB 2.0 HS (micro USB) connectivity, support for WCDMA, GSM, DCS, PCS Roaming and DMB. For storage, it has 4GB of internal memory and a MicroSD card that support 32GB external space. The pricing for the new 12 megapixel AMOLED 12M Camera Phone has not revealed yet. Tags:-samsung mobiles, samsung 12megapixel mobiles, Samsung's new 12 megapixel AMOLED 12M Camera Phone Features, Samsung's new 12 megapixel AMOLED 12M Camera Phone details, Samsung's new 12 megapixel AMOLED 12M Camera Phone specifications, Samsung's new 12 megapixel phone, Samsung's new 12 megapixel mobile phone, Samsung's new 12 megapixel handset , Samsung's new 12 megapixel camera phone details. Chinese-based company Yones Technology decided to launch an ultra slim netbook soon in the market.The X11A Netbook has a 11.1-inch display with a resolution of 1366 x 768. 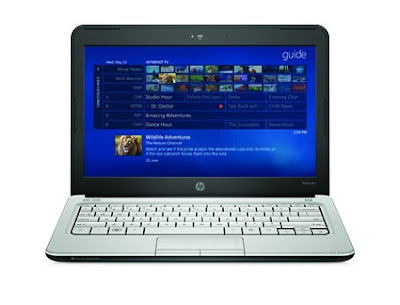 Tags:-Yones Technologies, Yones laptops, Yones netbooks, Yones slim netbooks, Yones X11A Netbook . 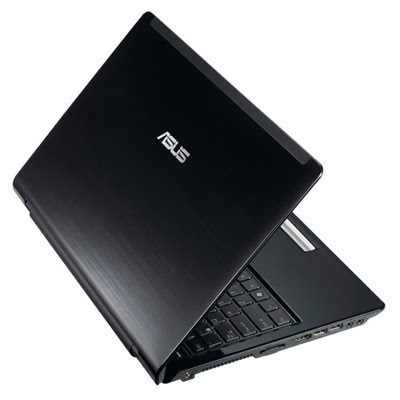 Asus recently launched UL50 15.6-inch Notebook in market.The notebook which has a high battery life for all-day computing up to 11-hours. 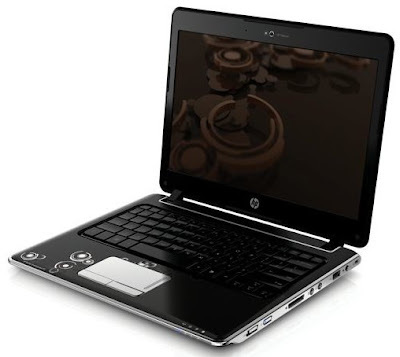 The laptop features a 1.3GHz Intel SU7300 ultra-low voltage processor.The price for laptop starts $799.99 onwards. 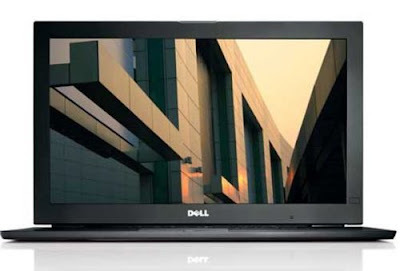 Dell recently introduced the latest Latitude Z600 Notebooks in market.The slim, stylish, and light weight notebook offers high backup of about 12hours,which is best for all kind of personal and professional works.Its keys runs soo smooth so that you could easily type anything with great comfort. 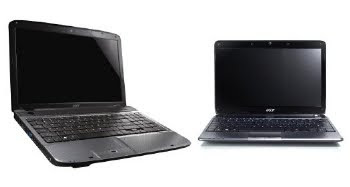 Dell Latitude Z600 notebook also inco-operates advanced features such as FaceAware system which identify when you leave your laptop with the help of webcam and automatically bolts it.As i already told you this notebook can be in the ‘Always On’ state for up to 12 hours. Tags:-Dell Latitude Z600 notebook price, Dell Latitude Z600 notebook details , Dell Latitude Z600 notebook pics, Dell Latitude Z600 notebook images, Dell Latitude Z600 notebook features, Dell Latitude Z600 notebook specs,Dell Latitude Z600 notebook specifications, Dell Latitude Z600 notebook price details.